Last year was back to the roots for me, the more I indulged myself into it, the more I got convinced of it’s benefits. While running dates back to the early man for their hunting needs, yoga is supposed to have descended from the Gods. Lord Shiva is supposed to be the First Guru Of Yoga. Choosing healthy and natural foods made me feel lighter and made me perform better. There were phases in my suddenly hectic life last year where I needed to find balance and peace, that’s when all these practices helped me. I also realised that every country’s culture is so rich and the more I explored the more my eyes opened in wonder. Being an Indian inhabitant I totally fell in love with it’s culture. 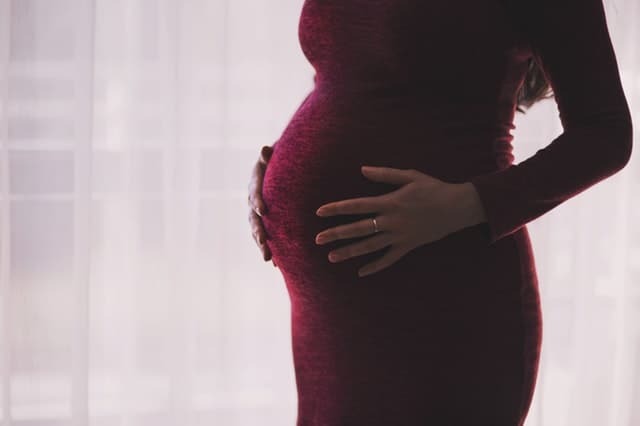 Slowly as I benefitted from all the above, I also decided to share these benefits with more like me who might not even realise that they are missing this in their lives. 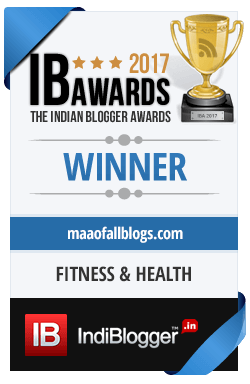 Last few weeks you have seen/heard that we at MaaOfAllBlogs have partnered with YogiToday to enhance your fitness and wellbeing quotient further by launching a Wellness Box, ie THE YOGI BOX. 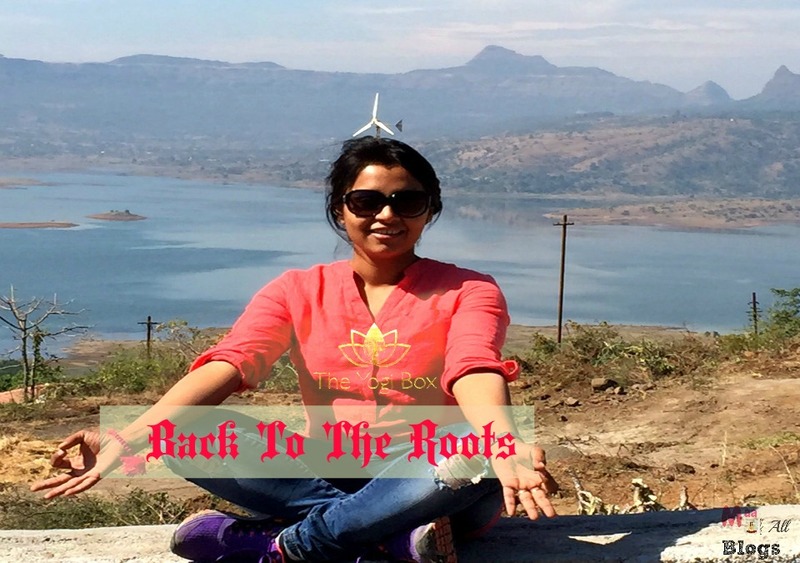 Being a fitness enthusiast and a yogi in the making, I felt the gap of such an offering in our world. While there were beauty boxes, food boxes, the one that will set you for a healthy lifestyle was missing. 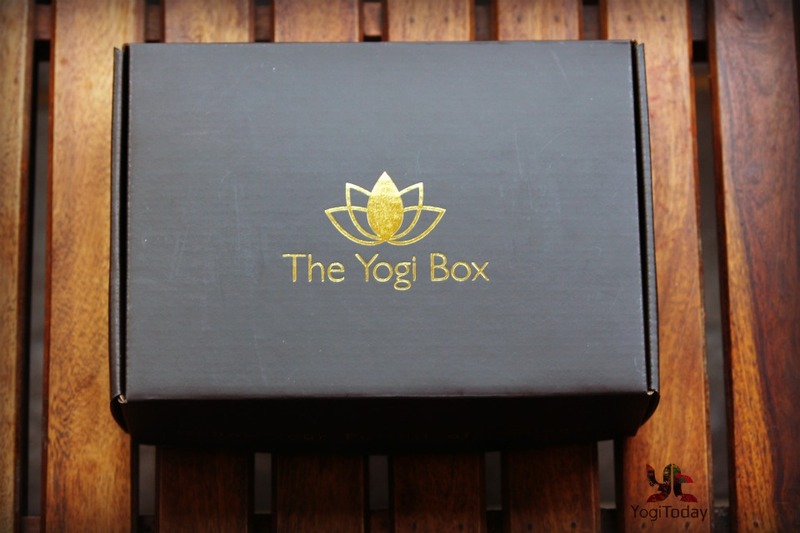 I have collaborated with YogiToday to bring you this box that is curated by me and so I abide by all the product and choices that are the part of this box. 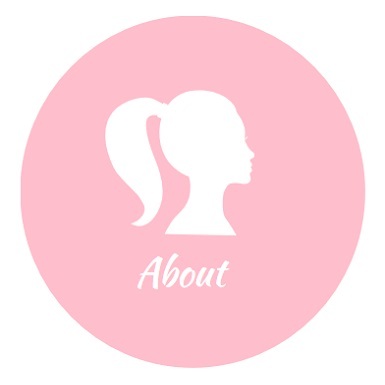 We perceive, conceptualise and then after several trials and negotiations put together a range of products which we feel will be a perfect companion for you in your wellness journey. YogiToday is the fastest growing online platform that provides useful information on yoga relevant in today’s modern day! 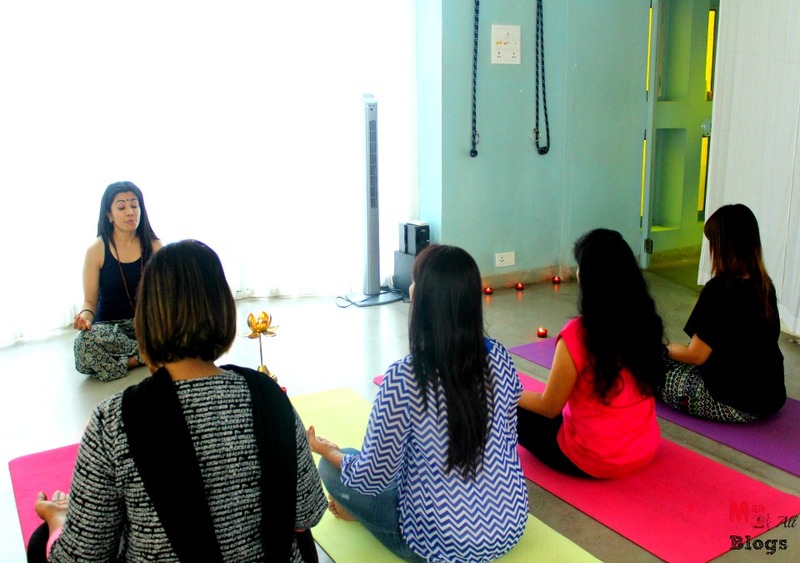 YogiToday has been conceptualised with this core idea of bringing the Yoga community together – like a Tribe. 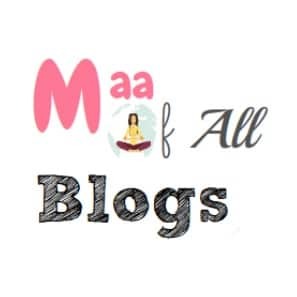 It’s an online destination where Yoga enthusiasts can find help, assistance and encouragement to continue on their chosen path. Let me start by explaining what’s a subscription box. 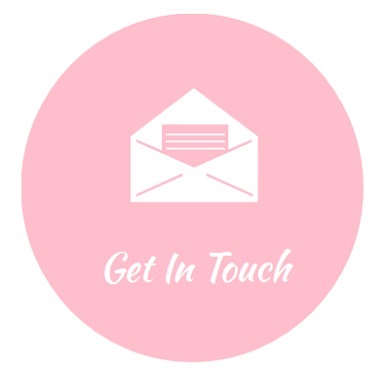 A subscription box is a package of retail products sent directly to a customer on a recurring basis. Each box has some full size and some sample size products. The idea is to introduce you to something new in the wellness space every month and if you like it you can reorder it, if you don’t then you have nothing to lose, since these products are sold way lower than their MRP value. That’s the broad definition, however we can assure you that the product we bring accross to you every month will be niche’ and atleast one or more products will be unique. So rest assured you can look forward to the benefits of this box every month. Our launch box will give you a close idea what of what the future holds for you and we promise more. The launch box has body care, jewellery, complimentary coupons and a novel concept item that is not easily available in the market. All products are from partners who are in the organic and wellness space. 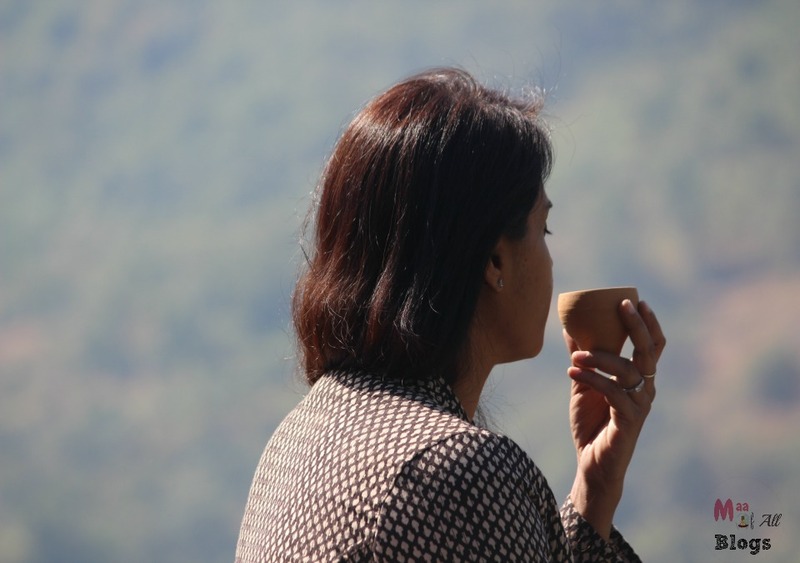 An ayurvedic tea with its spicy character and aromatic flavour is both an inspiring and relaxing experience. This product is my favourite from the launch box, ‘The Yogi Tea’ by Exalte’ is specially designed for the launch box and tastes best when had in a earthen pot. The tea is a blend of cinnamon, rose petals, green tea and more and is your perfect companion for the morning cuppa. These chakra bracelets are sourced from the city of Ashtanga yoga, Mysore and contains semi precious stones and chakra colours. These are handmade by an Ashtangi herself. Chakra bracelets are accessories designed to balance the seven chakras, which are said to be energy centers used for centuries by Indian and Eastern cultures. These swirling wheels of energy correspond to massive nerve centers in the body. Each of the seven main chakras contains bundles of nerves and major organs as well as our psychological, emotional, and spiritual states of being. 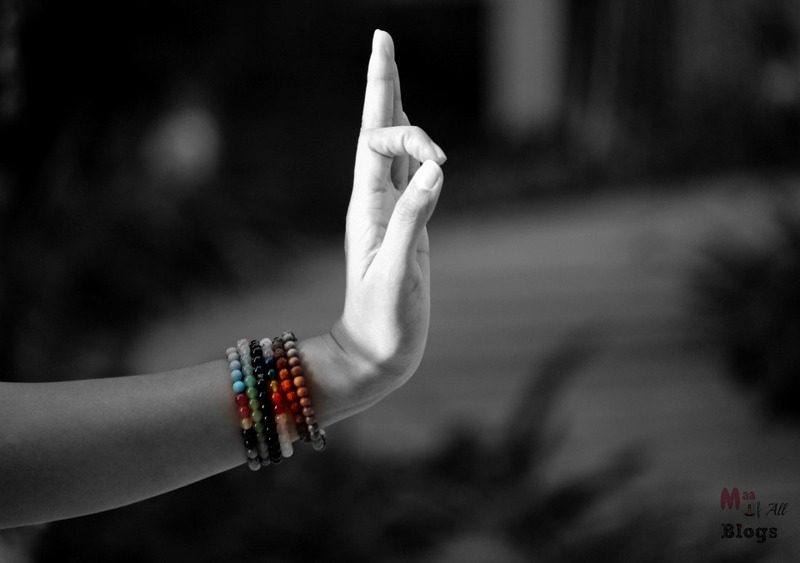 Since everything is moving, it’s essential that our seven main chakras stay open, aligned, and fluid. If there is a blockage, energy cannot flow. Apart from these these also look so pretty on my hands. Head For The Royal Rose Water and Honey Bath Like The Royals. Tattva’s Rose and Honey Bath Body Wash is a natural product that leaves you with the feeling of stepping into a rose garden with a lingering subtle rose fragrance. Perfect with the body wash and has an identity of its own with its aroma. This replaces your plastic loofah and with each use the roots become softer. I too preferred using my plastic loofah till now as I felt, this can be abrasive to my skin, but my partner, introduced me to it with great conviction and now there is on looking back. The first 2-3 uses the scrub might feel a bit strong, but slowly it will soften and the sandalwood aroma is something that I totally loved. After the toxins have been removed and your body is still revelling in the purity, moisturise your skin with the fragrance Of Almond and Saffron Lotion in the box. The texture of this is thick and the fragrance is not over powering. 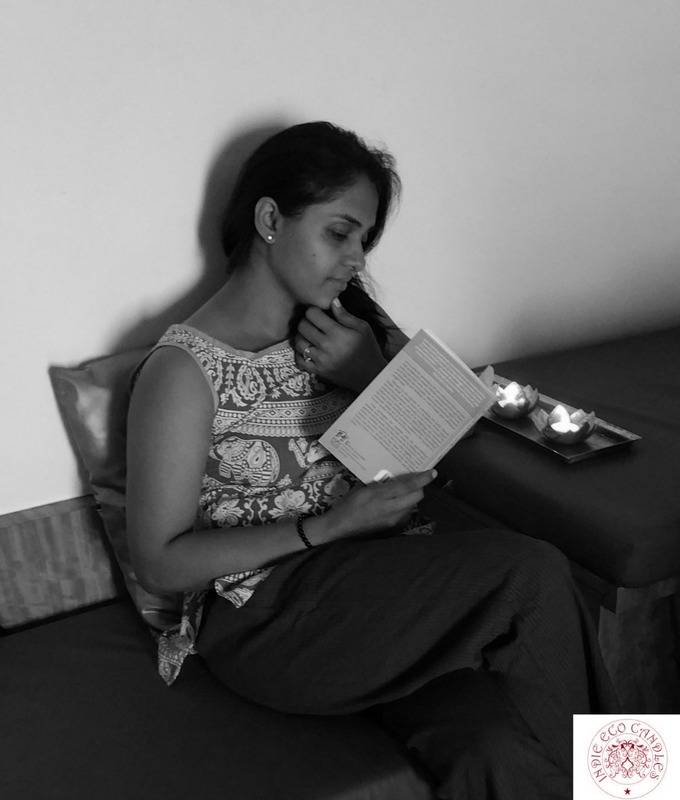 Finally Relax With A Good Book and You can light the Indie Eco Candles for creating the right kind of atmosphere. Vanilla flavour is so soothing, reminds you of an ice cream actually 🙂 and the lavender intoxicates your senses. All Indie Eco Candles are made from natural bees wax and their full size last for months. The individual box is for just Rs. 599/- but the products within are worth much more than what you pay for the box. We also make customised boxes for larger quantities as per the sensibilities and budget of institutions. Start your year on a positive note, go ahead and subscribe to this wellness box and trust me you will not regret this decision. p.s. I haven’t rated this box as it’s curated by me, however in my personal opinion it’s a 5 star :)!! best wishes for your venture and keep the flag flying high. Thank you Swayam for your wishes :). Tried the yogi box, a very interesting & healthy initiative indeed. We really hope so and looking forward to that review :). This is a great initiative . If we instill these habits today will help our generations too. I liked the Yogi box and its contents. Seems very refreshing and rejuvinating. This is very good choice and everyone should try it at-least one time to see its effect.